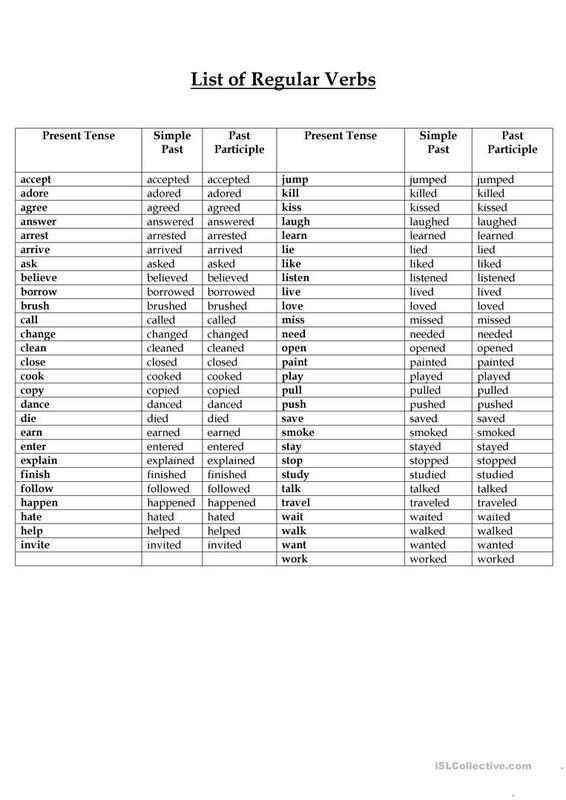 This is a list of verbs. There are 3 columns. Infinitive, Simple past and past participle. This downloadable worksheet is intended for business/professional students, high school students and adults at Beginner (pre-A1), Elementary (A1), Pre-intermediate (A2), Intermediate (B1), Upper-intermediate (B2) and Advanced (C1) level. 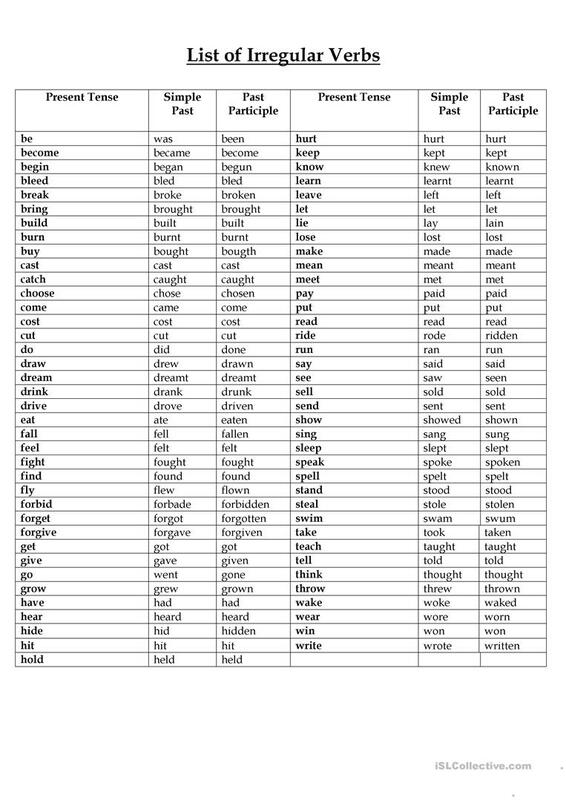 It is a useful material for consolidating in English, and can be used for working on your groups' Spelling and Writing skills. It focuses on the theme of Language functions. Teacherach is from/lives in Brazil and has been a member of iSLCollective since 2012-01-23 19:20:05. Teacherach last logged in on 2013-06-27 21:07:39, and has shared 2 resources on iSLCollective so far.